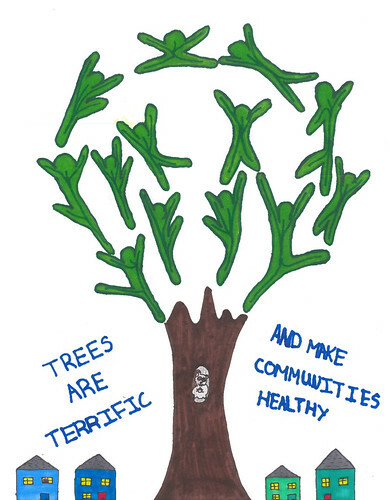 The Maryland Department of Natural Resources and Forest Conservancy District Boards invites all Maryland fifth-graders in private and public schools to participate in the annual Arbor Day Poster Contest. Students are encouraged to share their appreciation for Maryland’s forests and trees through original works of art. Poster sizes must be no smaller than 8.5 by 11 inches and no larger than 22 by 28 inches. They must be drawn in acrylic, crayon, ink, marker, paint pens, regular or colored pencil, tempera paint or watercolor. Posters will be judged on a county level and then submitted to the Maryland Urban and Community Forest Committee to compete at the statewide level. A select panel will then choose the top three winning posters that will receive tree plantings at the artists’ schools ─ first place will win 15 trees; second place will receive 10; and third place will get five. Teachers will be notified by March 20, 2019, and school plantings will be scheduled in the spring. Contest comments or questions may be directed to Anne Gilbert at 410-260-8510.